Stream anime episodes online for free, Watch Darker Than Black Episode 16 English version online and free episodes. 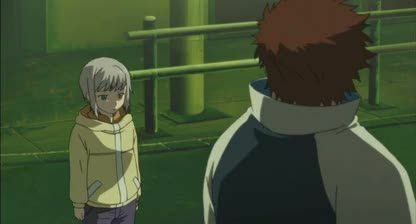 Anime Episode guide, Chapter Darker Than Black Episode 16 English dubbed Memories of Betrayal in an Amber Smile.. The Stargazer finally speaks, giving vague information on the Evening Primrose. November 11 kills Maki in a final showdown as Hei finally reaches Amber, who has taken Yin. Kirihara also arrives at their location, but, with the help of Amber’s Contractor powers, everyone escapes.